Senior SafeSeas researcher Dr Rupert Alcock presented key findings and policy implications from SafeSeas’ initial 18-month period of research funded by the British Academy. The workshop took place at the British Academy in London on 16 April 2018. It was opened by Programme Director Professor Paul Jackson and was attended by policy makers from UK and European government departments whose work focuses on sustainable governance and capacity building. Dr Alcock opened his presentation by tracing the growing global political attention attracted by the maritime domain and the world’s developing ocean resources, before outlining the core question addressed by SafeSeas: how can we assist countries in the Western Indian Ocean region and elsewhere in tackling maritime insecurities such as piracy? 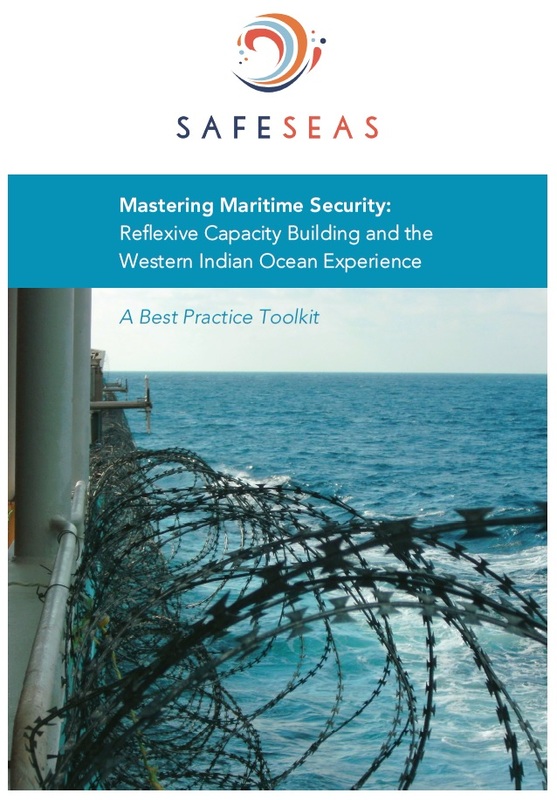 He then outlined some core guidelines for redirecting capacity building efforts that were consolidated in SafeSeas’ best practice toolkit ‘Mastering Maritime Security’ that the team launched at its high-level symposium in Nairobi in March 2018. The presentation focused on three policy recommendations in particular. First was the crucial importance of reflexivity, and the fact that capacity builders often fail to sufficiently analyse the political context in which they operate, and often do not learn from what has failed in the past. Lesson learning, practices that reinforce institutional memory and transparency are the proposed solutions. The second recommendation concerned the need for greater and more meaningful local ownership of capacity building activities. Recipient countries need to steer and coordinate capacity building and carry out their own needs assessments; they need resources for that and they need to learn how to do it effectively. The toolkit presents Seychelles as a case study of one country that has been particularly successful in doing that. The third recommendation concerned the dangers of the project logic: the temptation to try to plan and map everything out in advance and allowing the timeframes of funding review cycles to take preference over dynamics on the ground. The solution is to develop bottom-up needs assessments as opposed to top-down modes of engagement. Dr Alcock then participated in a constructive Q and A session, speaking further on issues relating to the security implications of irregular migration in the Western Indian Ocean, the nature and value of flexible and adaptive programming, the economic costs of piracy and the interconnections between piracy and other forms of organised crime in the region.